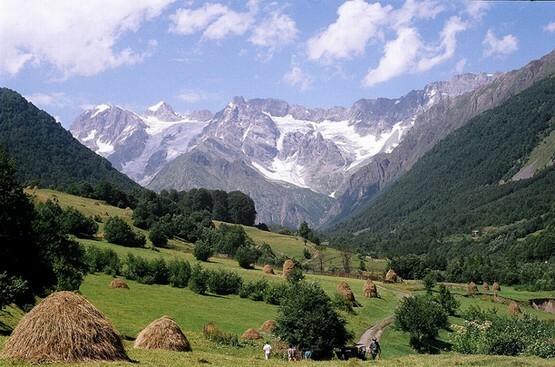 Shatili (Georgian: შატილი) is an historic highland village located in the deep Arghuni gorge on the northern slope of the Greater Caucasus mountains near the border with Chechnya. 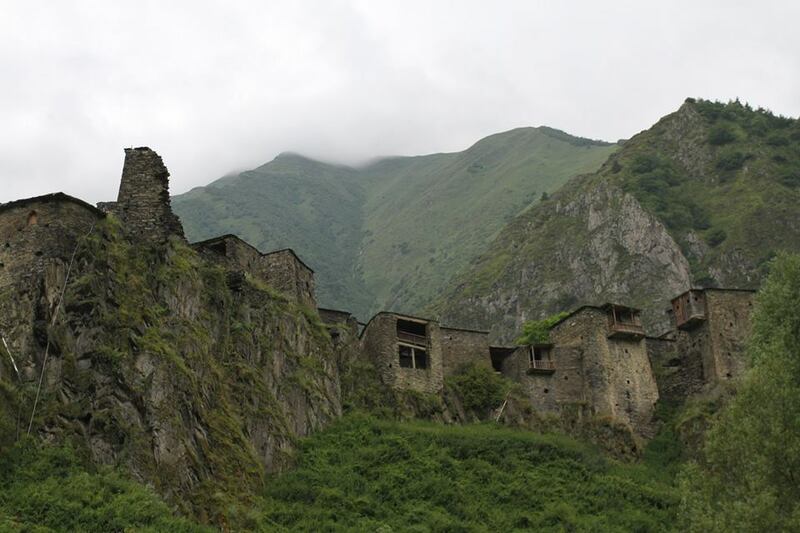 Once part of the historical Georgian province of Upper Khevsureti, it is now part of the modern-day region of Mtskheta-Mtianeti. 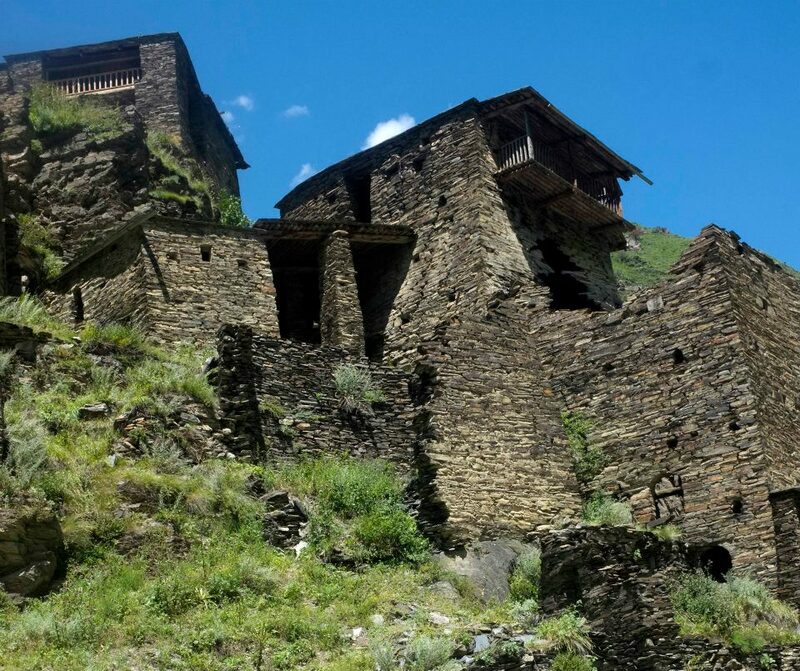 The village is actually a cluster of fortified flat-roofed stone dwellings and towers built mainly between the 7th and 13th centuries, which functioned both as homes and as a fortress guarding the north-eastern border of the country. In the early 19th century a large force of about 5000 Chechen and Dagestan warriors attacked Shatili, which was defended by only 50 Khevsurs. 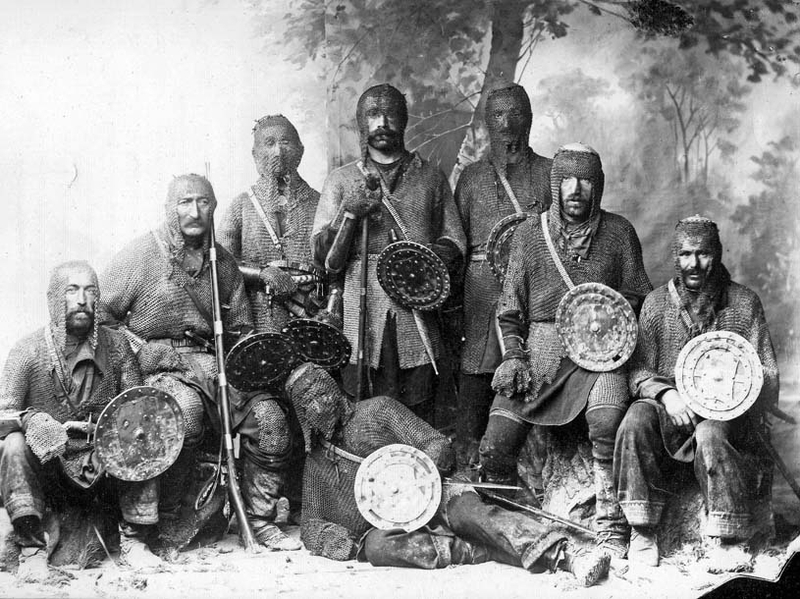 The Khevsurs were exceptional warriors with traditional Georgian qualities of courage, openness and honesty, fraternity, independence and love of freedom. 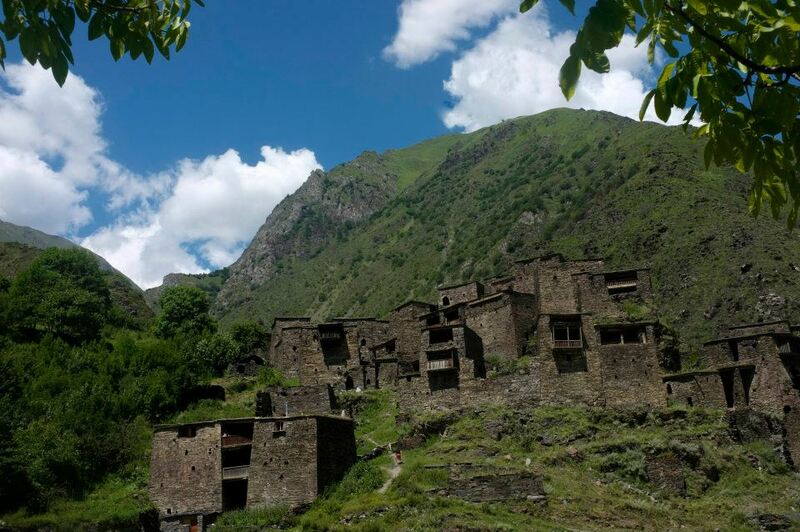 In 1953 the Soviet authorities “convinced” all twenty families living in Shatili to move to Tbilisi but in the 1980s some new houses were built a couple hundred yards from the old village and some of the original inhabitants moved back. 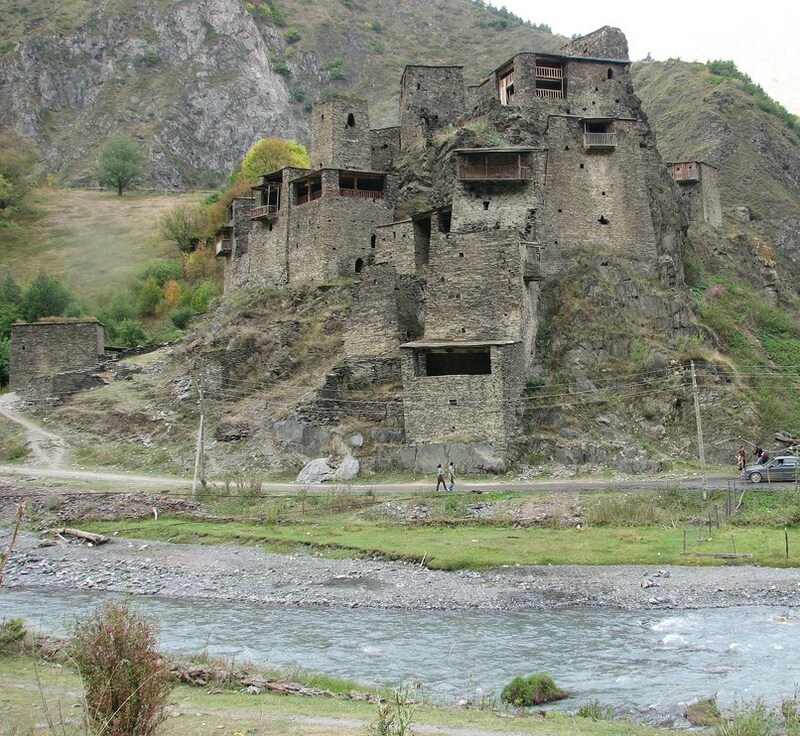 In the 1960s, the exotic landscape of the empty village was used as a setting for a series of Georgian films about the historical life of the highlanders. How to get there? 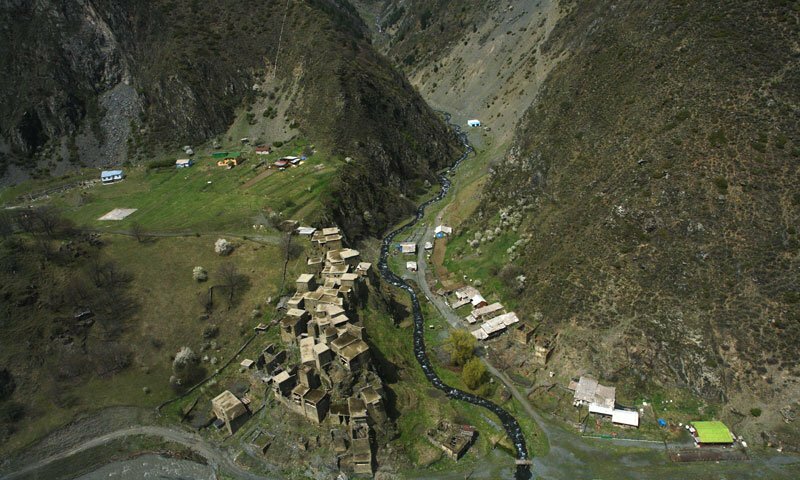 Shatili is about 140 km north of Tbilisi. Because of snow, it is usually only accessible from June to October (check access before you travel). 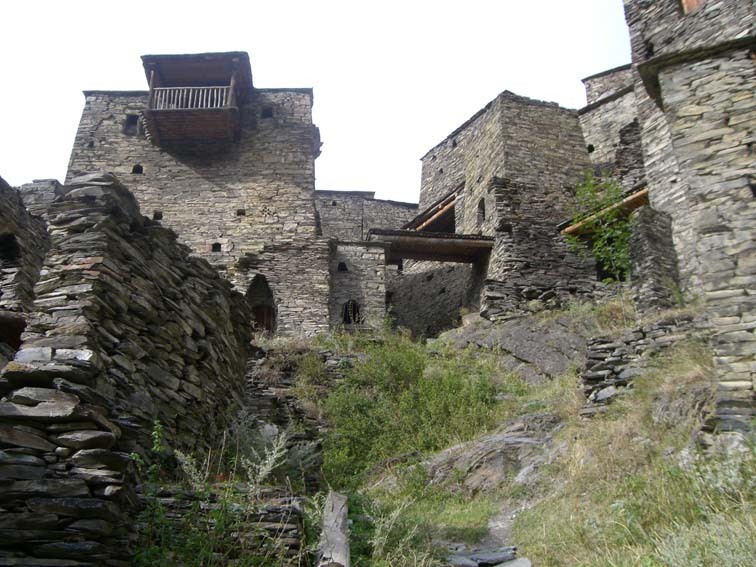 Georgia About recommends a visit to historical Shatili! Those stone tower buildings are very enigmatic! and amazing to see that they were made of small blocks of stone! It was a harsh and dangerous life Kevin but the people who lived there lived life to the full. Thank you Chuck. This really was the frontier of Georgia – a wild place! Absolutely amazing place! Love it! I’d like to visit there, those stone towers look fantastic!